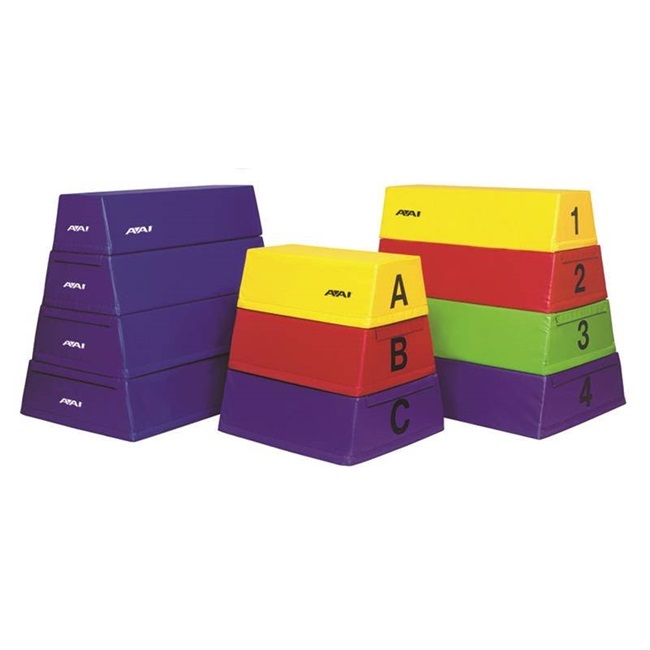 This versatile unit helps develop jumping and vaulting training skills. Sections can be used as spotting blocks. Each section consists of a foam core and hook and loop fasteners.